Bali and the surrounding islands have a huge range of beaches ranging from the fun beaches of the south, black beaches around the island and those unknown beaches that are hard to find. 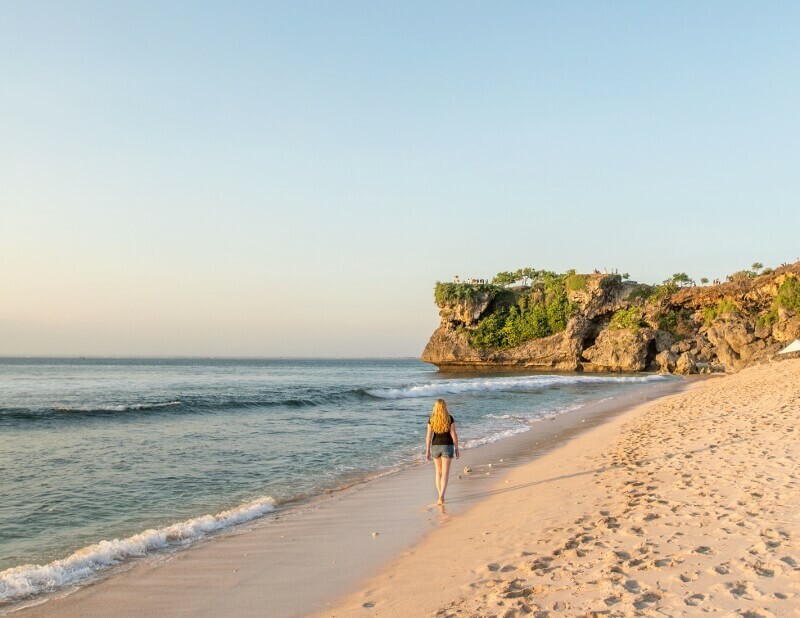 Finding the best beaches in Bali for families to visit can be tricky but hopefully this post will make choosing the best beaches for your family easier. 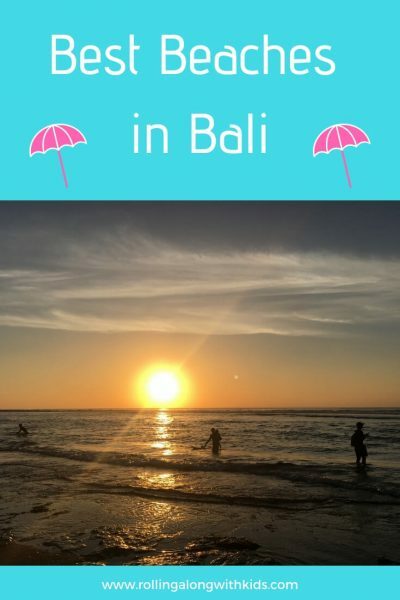 I have asked fellow travel bloggers to each share a beach in Bali that they have visited and explain what they loved about these different beaches. 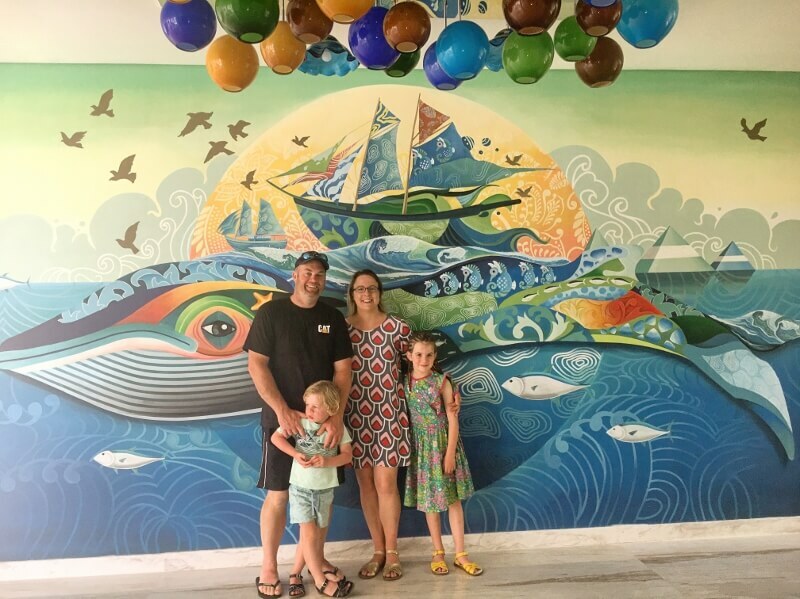 Visiting a beach is one of our favourite things to do in Bali with kids and if you would like more options of activities to do in Bali with your family, check out our post here. Kuta may not precisely be the best beach in Bali – there certainly are way more stunning beaches on the island. Yet it is a virtually unmissable place to see when visiting the island, as it is very close to the biggest city Denpasar and it offers great services in terms of accommodation (there’s something for any budget, from luxury resorts to backpackers hostels), restaurants and street food options, bars, clubs and even spas to anyone who visits. Even the shopping is incredible! As already said, the beach isn’t really the best on the island, as it can get really crowded and it is somewhat dirty, with garbage often abandoned by irresponsible tourists and locals alike. Yet, what makes the beach a must is the fact that it gets persistently good waves, making it ideal for anyone who wants to surf; and thanks to the position on the island, the sunsets from there are simply stunning. 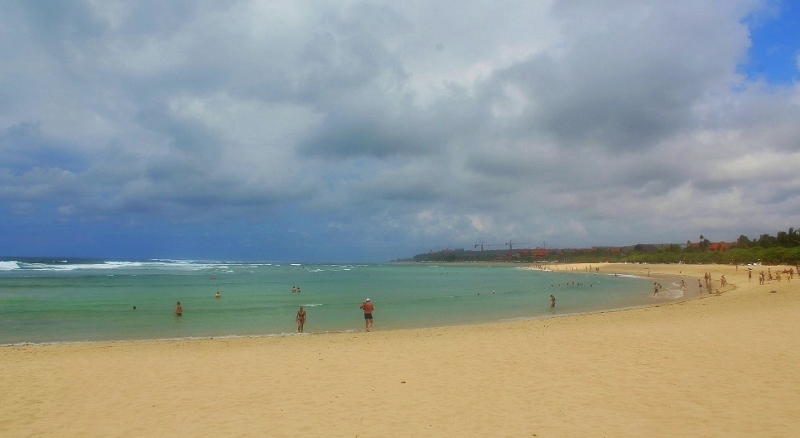 The beach at Legian is the place in Bali to find families, fun and surfing. The beach is lined with beach bars that offer cold drinks for a cheap price and you can enjoy a massage on one of the sun loungers. Hawkers will try to sell you their wares but a polite no will eventually keep them away. Legian is the perfect spot to learn to surf. The beach needs to be respected for rips and make sure you keep an eye on the little ones. The many surf schools along this stretch of beach are set up to teach school aged kids the finer art of surfing. It’s a perfect spot for Mum and Dad to have a go to! At sunset time, find a bean bag or chair to sit back and witness a beautiful Bali sunset. The kids will be entertained while they play in the sand or kick a soccer ball around with the locals and parents can enjoy a cold Bintang making family memories to enjoy forever. We visited Seminyak beach in Bali while on our honeymoon. It takes around 45 minutes to drive to Seminyak from the airport (depending on traffic). We stayed at the glorious Samaya hotel, which is located right on Seminyak beachfront. Seminyak is one of the most stylish beaches in Bali. The Samaya is not alone amongst five star hotels choosing to locate itself on this pristine, wide stretch of golden sand. This gives the beach a refined feel. It’s also no surprise to find that on the main roads leading to the hotels there are designer boutiques and some of the island’s best restaurants. During the daytime, Seminyak’s rolling waves are popular with surfers – for swimming we preferred the hotel pools. As day turns to night, the world-class beach clubs and nightlife venues take over. You’ll find great cocktails and music. We loved Ku De Ta, a smart beach club with a very trendy vibe. It’s a one-stop restaurant and chill-out spot and was the trendsetter for other upscale venues that have appeared in Seminyak. We totally recommend a visit! 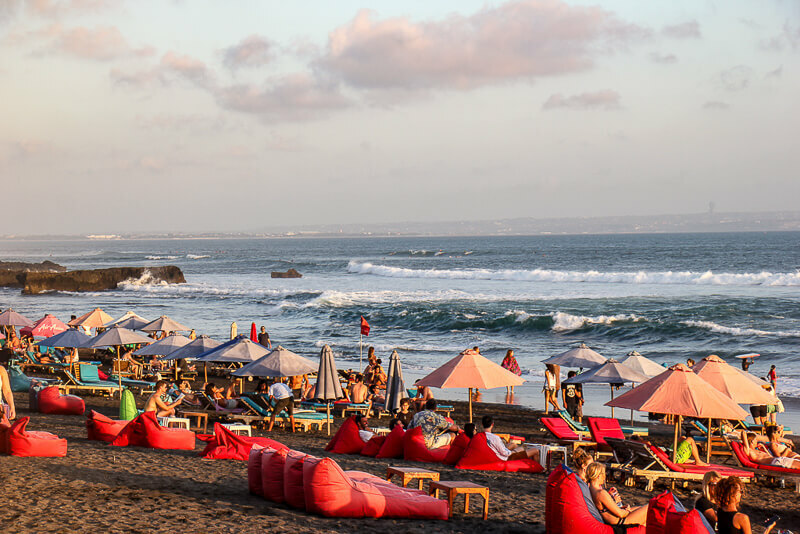 We think Bali has some of the best beaches in the world – and the Bali beach we love best is Echo Beach in Canggu. Situated on the northern end of town, the black sand beach is ideal for chilling out and watching the sunset. At the top of the beach are a cluster of ramshackle warungs where patrons can sit in the shade with an elevated view or lounge in one of the comfy and colorful bean bags that are strewn on the sand. Echo Beach is all about laid back vibes and a relaxing atmosphere. Unfortunately, swimming at Echo Beach is not recommended (although it is possible to wade in knee-deep to cool off). However, the waves at Echo Beach are perfect for experienced surfers, who will find it much less crowded than the other nearby breaks. To get to Echo Beach from the Bali Airport takes about two hours, depending on traffic – but we think it is well-worth the effort! 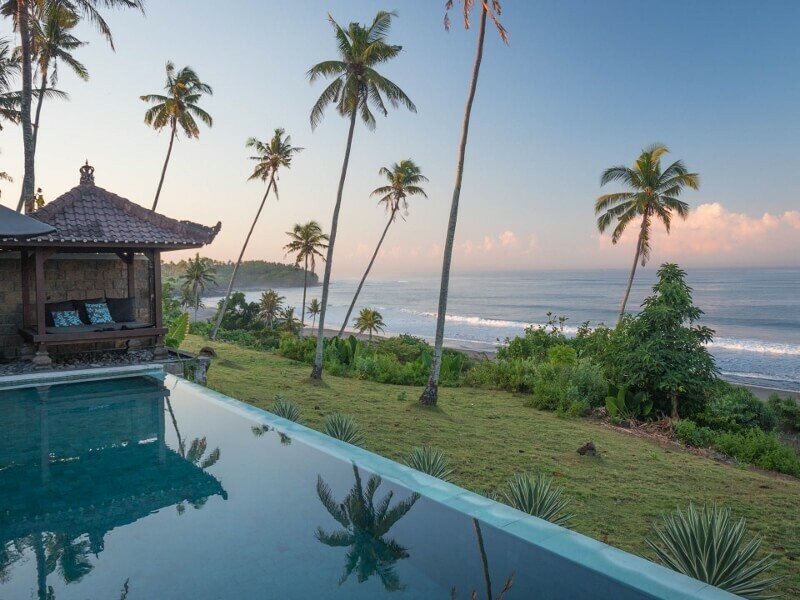 Balian is a small, tucked away, beach town, located on the west coast of Bali, and a 2.5-hour drive from Bali’s airport. Balian beach is well-known in surfing circles, with easy long left-breaking waves attracting surfers of all levels. There are a few small places renting boards and providing lessons to beginners. 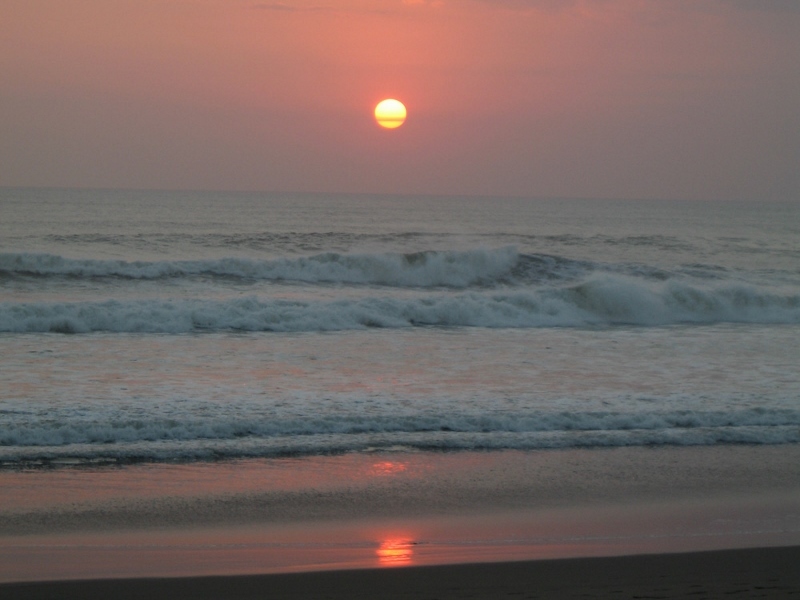 However, there is more to Balian beach than just surfing. Chilled out visitors can practice yoga, enjoy a healthy meal at one of the slow-paced restaurants and cafes, or relax by receiving a massage at one of the small day spas. The volcanic black sand beach seems to go on forever, and is a great for long walks, watching the surfers and fishermen go about their business, as well as taking in an impressive sunset. And if you are feeling energetic, the surrounding areas can be easily explored by hiring a motorbike, with a few highlights including seeing the terraced rice paddies, lush palm groves, ancient temples, and the prolific cacao plants, that are harvested by the locals and used by the local chocolate making factory to turn out some tasty treats. 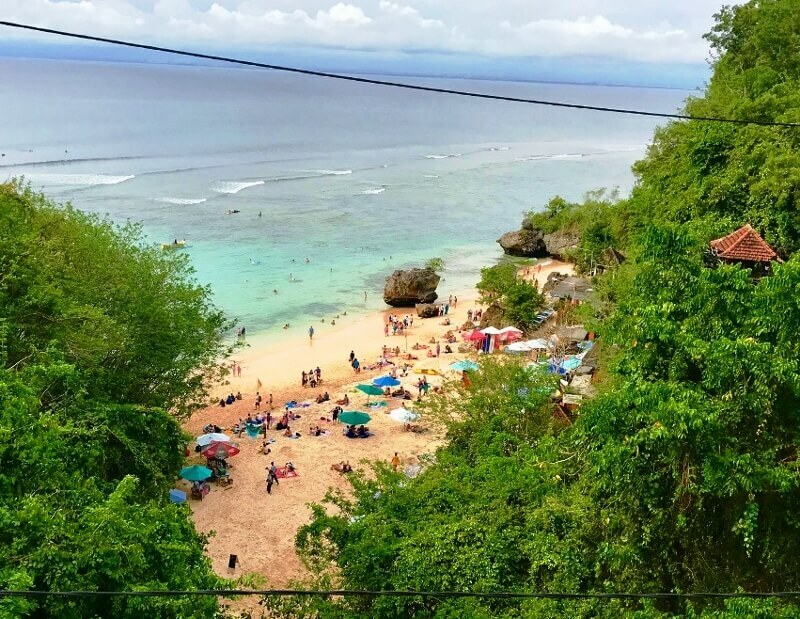 While Bali’s beaches often have the reputation to be rather crowded and touristic, Pasut beach is one of the few lesser known and unexplored beaches of the island. This black-sand beach is around one hour up the coast from the famous tourist destinations Seminyak and Canggu, therefore it would take you depending on the traffic approx. 2-3 hours from the airport. However, Pasut is best visited as a day trip, since there aren’t many hotels along the beach (in fact, I’ve only spotted once). And that’s the reason why Pasut is such a nice place to visit! The water is very flat, and the beach is very wide. While these aren’t the best conditions for swimming, it’s perfect for a long stroll along the beach. When I arrived in the afternoon, I literally had the beach all to myself! A little bit later in the day, a few locals visited the beach to watch the sunset. Pasut is one of the few less-explored destinations in Bali and after backpacking Bali for more than 3 months, Pasut was certainly my favorite beach! 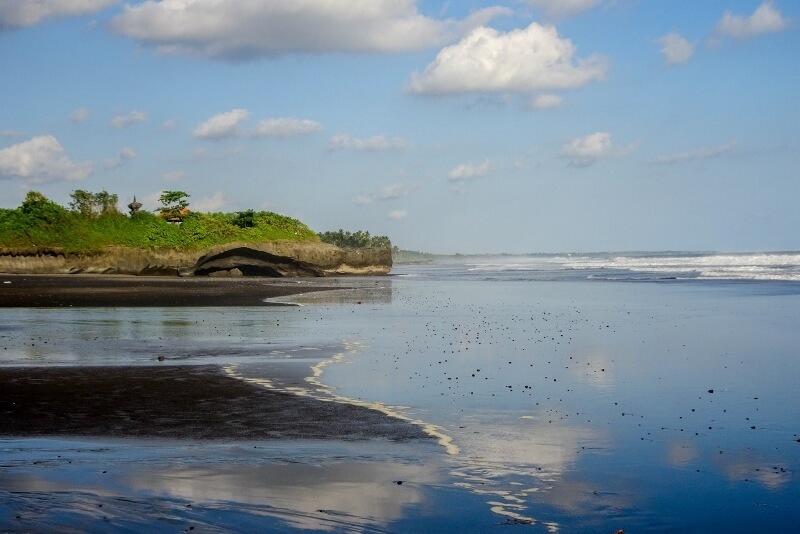 A rather unknown beach just a little North of Tanah Lot near Canggu is Pantai Melasti Bali. You can access it in the following way: Make your way towards Tanah Lot (there are street signs) and when you pass the gate, take the right turn. Kids will love to run past the rice fields and look at the grazing cows. Also, the beach is right there and beautiful with its many rocks and little pools. At one point, buildings must have stood here as you can still see the foundation, which helps with walking between the rocks a bit. There is a smaller water temple on a rock nearby. The beach isn’t typical sandy beach, so not suitable for small children. However, the beach is perfect for epic sunset shots as the sun sets right behind the little temples, the pools capture the light reflection wonderfully and the waves aren’t too far either. If you want to challenge yourself, climb over the rocks along the cliffs to your right, making your way to the beach beneath Pura Batu Bolong, which is next to Tanah Lot. 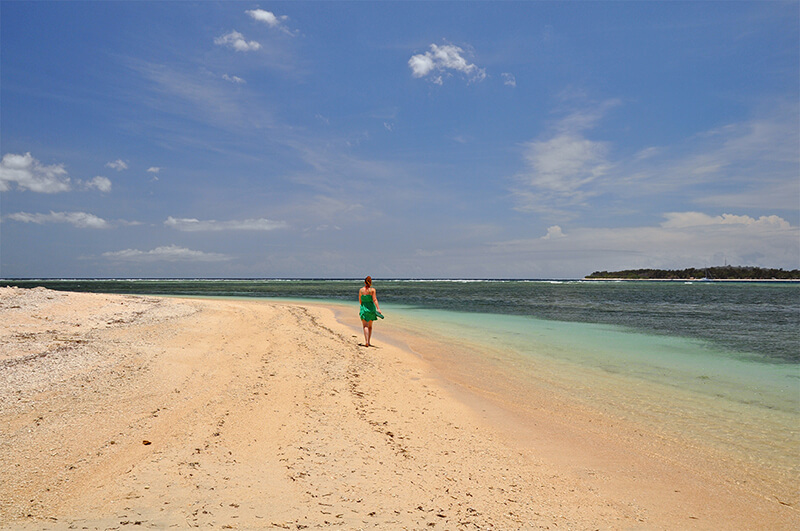 Bali is known for its many beautiful and idyllic beaches but our favorite is the Nusa Dua beach. 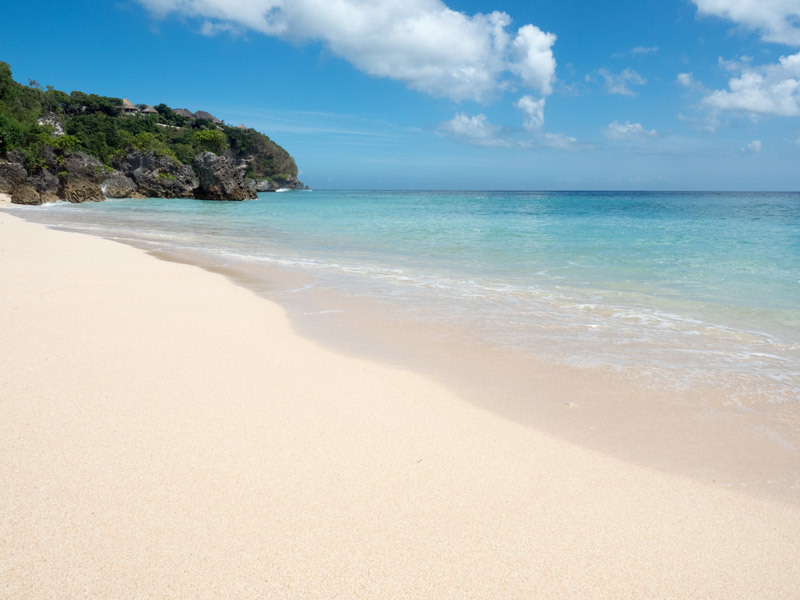 Set away from the hustle and bustle of the city, the beach has soft white sand with crystal clear water. On a sunny day, the water keeps changing its color to match the blue of the sky. Laced with beachfront luxury hotels, Nusa Dua is a gated enclave and the beach is kept very clean which is perfect for couples and families. The beach is great for swimming and snorkeling when the water is calm. You can also indulge in water sports like parasailing and jet skiing. During the evening some parts of the beach are lit up with candles for a romantic dinner setting. Nusa Dua is located in the southern part of Bali on the eastern side of the peninsula and is about 40 km away from Denpasar International Airport. It takes about half an hour from the airport to reach the beach under low traffic conditions. Tanjung Benoa is one of the best beaches in Bali for adventure and fun lovers. Tanjung Benoa is located in Southeast Bali and very close to the famous beach Nusa Dua. This beach is 15.9 km away from Ngurah Rai International Airport, and if there is no traffic, it will take just 30 mins to reach. Tanjung Benoa Beach is a perfect beach destination and suitable to try many water activities from snorkeling to parasailing, scuba diving, jet skiing and also sea walking. 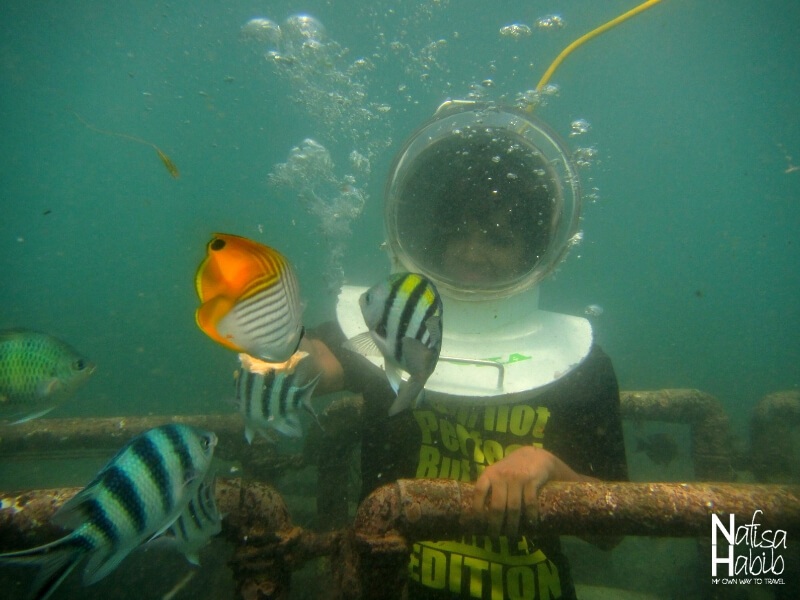 I enjoyed for the first time sea walking at Tanjung Benoa. It was too much fun and I loved the short boat ride to reach the main sea walking point. You’ll find many dive centers and it is possible to pre-book any water sports package or when you arrive, select any package to enjoy the whole day with family or friends. Sanur is located on the southeast coast of Bali and is a great family-friendly beach choice. 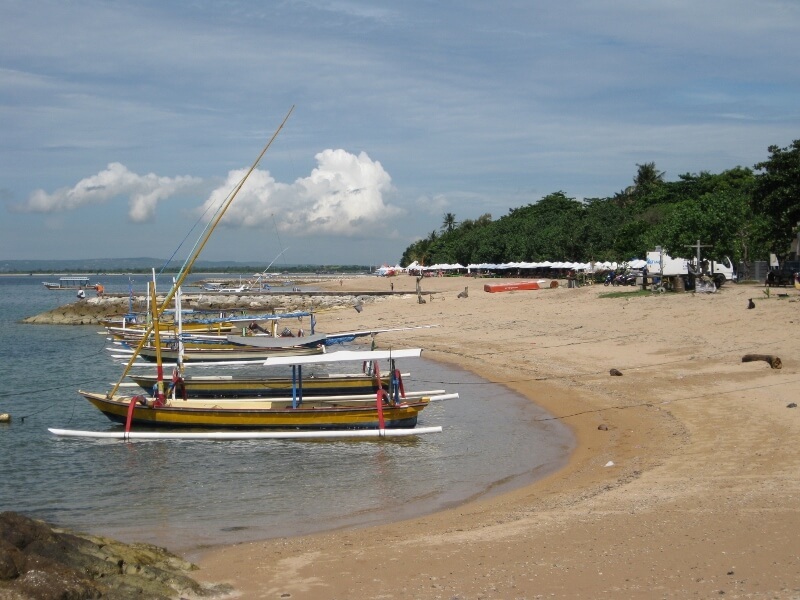 While tourism is well established in Sanur, it is much mellower than busy Kuta and the southern beaches. Located 20 minutes from the airport, it is convenient to get to and still holds the traditional Balinese charm that we all fall in love with. Hotels of various sizes line the beach, but tourists share the beach with the colourful local fishing boats. The water is calm and clean and perfect for little ones to enjoy. Sanur is always the beach I recommend for a family’s first visit to Bali with its good tourism infrastructure that doesn’t take away from the cultural richness of the area. Jimbaran Bay is one of the closest beaches to Bali’s international airport, located a short five minute drive south. 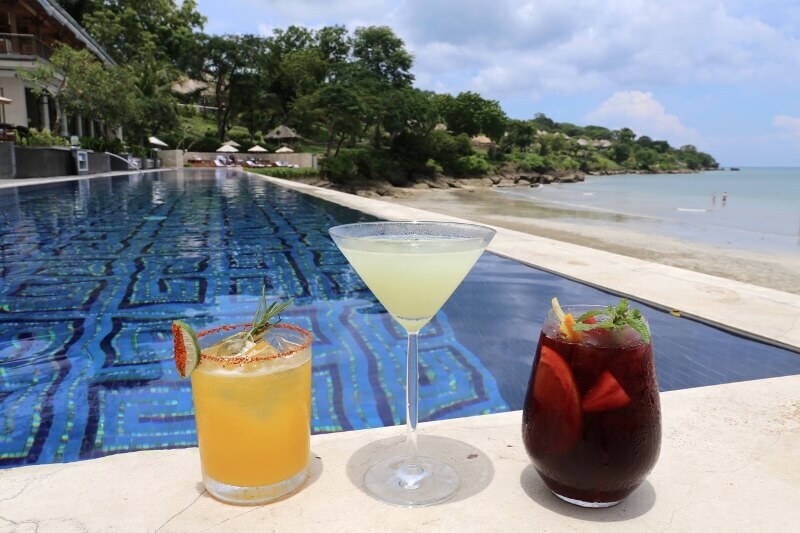 If you’re looking for a luxury hotel to rest and relax, Four Seasons Resort Bali at Jimbaran Bay sits perched over the beach and offers jaw-dropping views at sunset. The hotel’s infinity pool allows swim fans an opportunity to float up to the edge and enjoy a birds eye view of the beach below. The Four Seasons cocktail bar serves marvellously muddled drinks right to your private cabana while the neighbouring restaurant serves up the beaches most celebrated fine dining fare. Be sure to visit the hotels acclaimed Ganesha Culture Centre, an interactive and experiential space dedicated to exhibitions and workshops in Balinese art, music and crafts. The centre’s primary purpose is to actively support local artists and give them a chance to exhibit their work to an international audience, and to preserve and celebrate Bali’s heritage as the only remaining Hindu civilization in Indonesia. Everyone’s dream when visiting Bali is to find pristine, untouched beaches with incredible views. However, most of the beaches are packed with tourists and spending a quiet and relaxing evening can be harder than it seems. If you are looking for off the beaten path beaches, I totally recommend the Pantai Tegal Wangi Beach in South Bali. Few people know about this beach and the views are breathtaking: tall cliffs, clear water and golden sand. This beach is great to spend some time with your family and enjoy the sunset. However, swimming is not recommended here since the waves are pretty big. If you’re felling adventurous, you can try cliff jumping. Nothing compares with a little bit of adrenaline, right? Reaching Pantai Tegal Wangi Beach from the Bali Airport is easy and shouldn’t take more than 20 minutes. I’ll never forget the first time we saw Bingin beach. The water was this vibrant clear blue colour that I hadn’t seen a lot of in Bali. It instantly became one of our favourite beaches in Bali. After walking down little laneways and quite a few steps, you’ll eventually reach the beach, feet in the sand. This beach can be good for swimming and for experienced surfers but it really depends on the tides and time of year. But ultimately, it’s just such a laid-back and relaxing place, that even sitting on the sand, or grabbing a bite to eat in one of the local warungs, make it worth the walk down. Or better yet, come for sunset, chances are, it will be a good one. 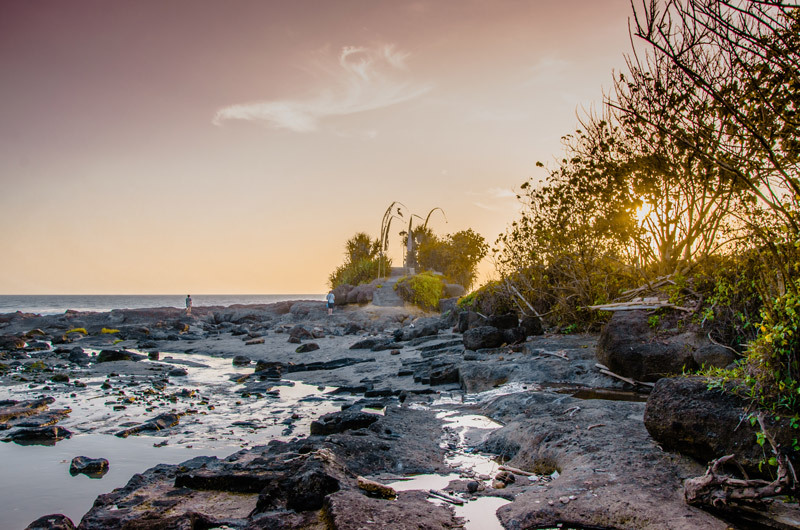 Bingin Beach is located along the Bukit Peninsula in South Bali and it takes around 40 minutes to drive to from Bali Airport (depending on traffic). If you’re anything like us, then you like your beaches to be beautiful but also uncrowded. 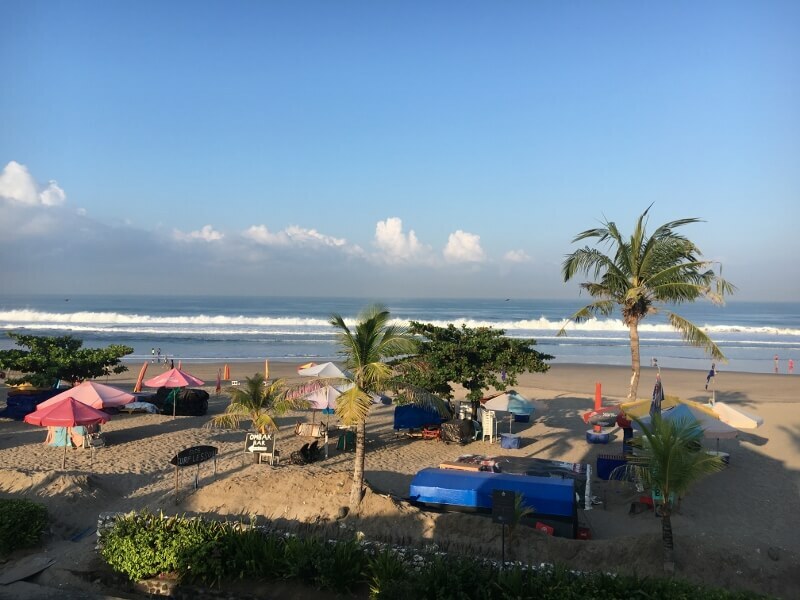 It can be a tricky combination, but Balangan Beach ticks both of these boxes, as the majority of visitors stick to the beaches that are closer to the popular towns of Kuta and Seminyak. Balangan requires a bit more effort to get to and after passing through Jimbaran you’ll feel like you’re entering rural Bali, passing little villages and lush forested areas before catching your first glimpse of the sparkling ocean. The sea is pretty calm at Balangan, so when you’ve had enough of relaxing on the sand you can take a dip without having to worry about fighting the waves. It’s only 17 km from the airport (about 45 minutes by car) and you can watch the planes descending in the distance. It’s the perfect spot to catch sunset as the sun sets on the horizon right in front of you. It also casts a beautiful light on the surrounding cliffs where you can often find wedding couples queuing up for photos! Padang Padang is located on the Bukit peninsula which is the southern most part of Bali and home to many beautiful beaches and famous surf breaks. Known as Labuan Sait Beach by the locals it attracts surfers from around the world, and has been the venue for several international surfing events including the Rip Curl Cup in 2018. It was also one of the filming locations for the movie Eat Pray Love starring Julia Roberts. Padang Padang beach is around 110 meters long with a small, white sandy beach accessed by stairs from the road. It is surrounded by impressive cliffs and there are some shallow reefs especially at high tide. There are food and drink vendors on the beach and you can rent surf and snorkel gear nearby. 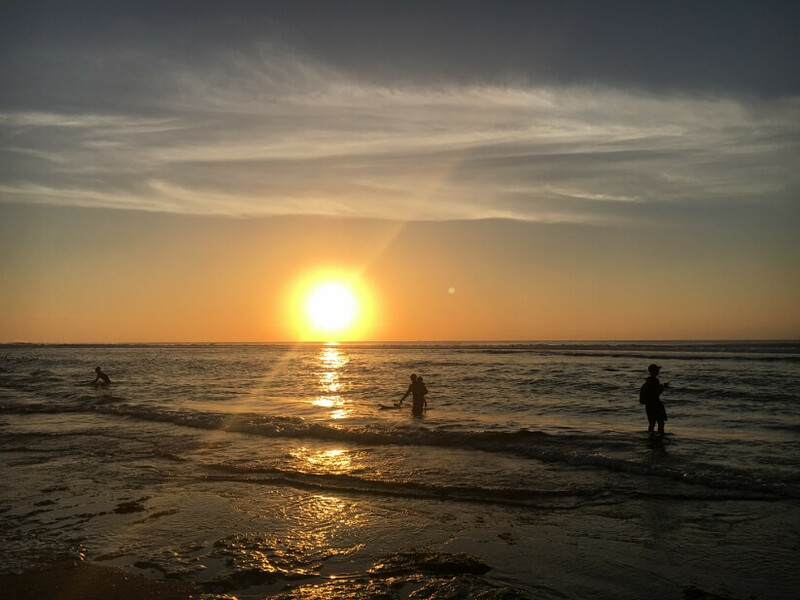 It can get very busy during peak periods but as it’s still relatively isolated compared to some of Bali’s beaches, it is still possible to enjoy a relaxed day at the beach and a spectacular sunset on the sand. Located on the northwest coast of Bukit Peninsula it is only a few kilometers south from Bingin and a few kilometres north of Blue Fin. It takes approximately 45 minutes to reach Padang Padang from the airport. 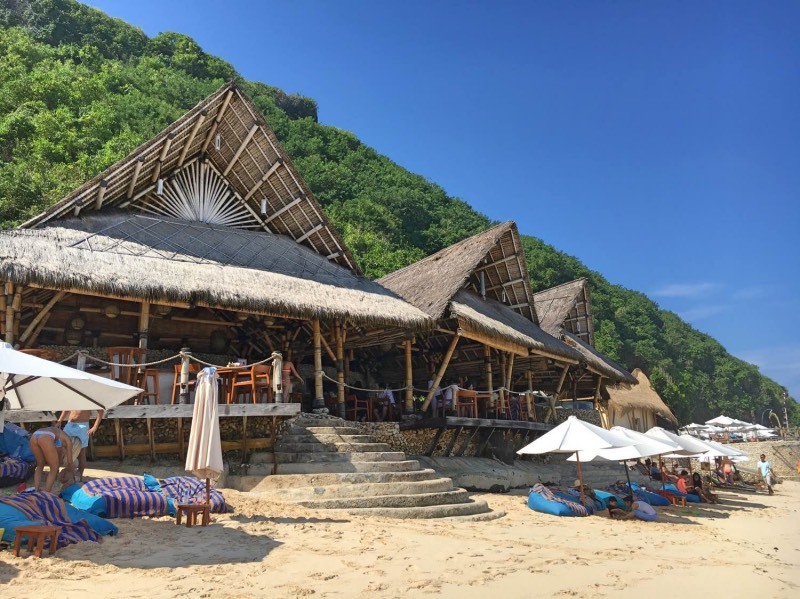 We loved visiting Sundays Beach Club at Uluwatu because of the incredibly laid back, fun vibe of the beach club and the stunning white sand. From the moment you arrive on the cliff top and look down to the beach below, you know you’re in for a treat! To access the beach, you need to take the funicular cable car down the steep cliffside, which kids will absolutely love. Then it’s time to find a spot on the sand or one of the loungers and enjoy a relaxed, chilled day beside the beach. The waves can be a little rough at high tide so you do need to keep an eye on your kids, but on a calm day and at lower tides it is perfect for snorkelling and kayaking. Come sunset the bonfire is lit and smores are available to roast over the open fire which our kids absolutely loved doing! We found a comfy bean bag to lie back on and watch the stunning sunset. 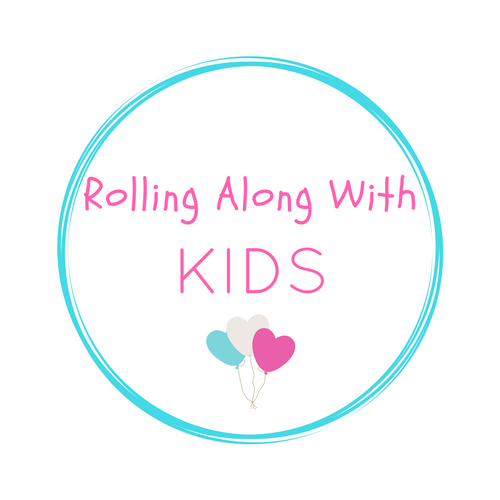 Our kids still regularly talk about it being our best day in Bali! Travel time to Sundays Beach Club from the airport is around 30-45 minutes depending on traffic and time of day. We had never heard of this beach and had never planned to go there. But a weird chain of events meant that we ended up staying the night here. And, once we had seen the beach, we just had to stay longer so that night turned into several blissful days by this idyllic beach. It is beautiful, the water is shallow, still and clear so perfect for your kids to play. A reef regeneration programme has created a great area for snorkelling just a few metres off the beach and palm trees provide both shade and a picture-perfect backdrop. To top it off you have some wonderful Balinese style accommodation and restaurants right by the sand. It is a low key place around 3 hours’ drive from Denpasar, and there is just a handful of places to stay. The beach is quiet and uncrowded, a far cry from some other corners of the beautiful island. We really enjoyed our stay here and feel so fortunate that a twist of fate led us to visit. Is this the best beach in Bali? I think it just might be. Lovina is a black sand beach on the North coast of Bali. It is absolutely perfect if you want a beach area that is low key with less tourists and that is more affordable. 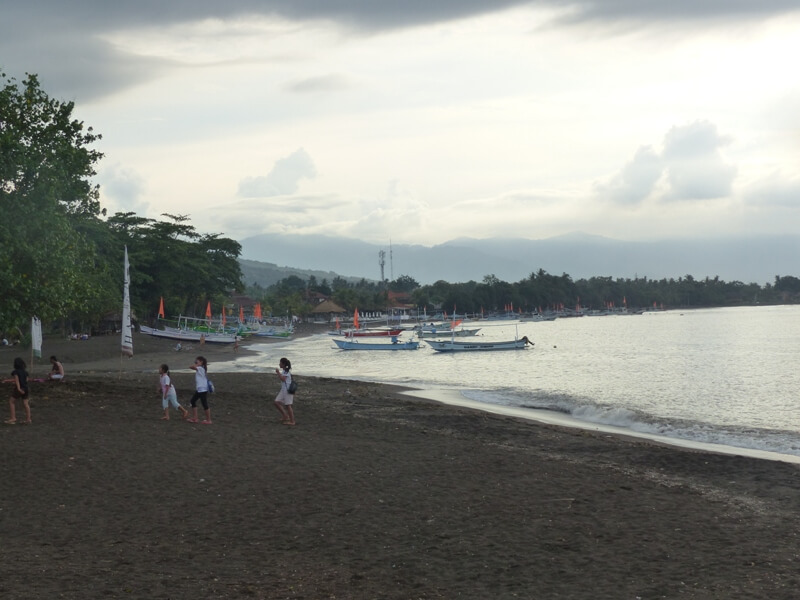 I love these aspects of Lovina as well as the fact that you are more likely to see locals than foreigners on the beach and it feels like a more local experience. It is a black sand beach so don’t expect to go barefoot on the sand – it gets hot. Diving, snorkeling and trips to see dolphins are very popular in the area. My favourite way to enjoy this beach is at the Spice Beach Club where you can eat and have drinks while sitting in nice lounges right on the beach. They also have a pool to use, free towels and toys for kids. Lovina is about a three hour drive from the airport. It’s an interesting drive through Bali’s interior and adds to the experience. Amed is one of the most beautiful memories of my trip to Java and Bali. 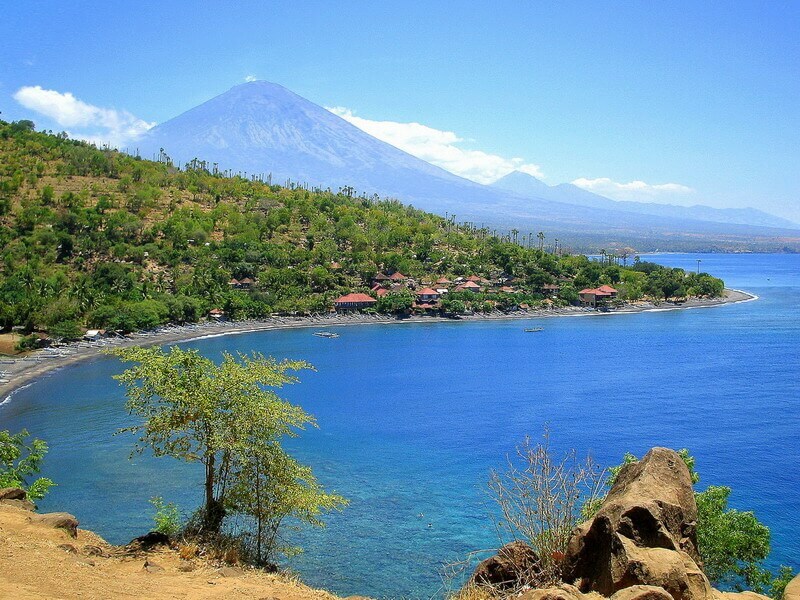 The environment of this village is simply magnificent, between the sea and Agung volcano. We were able to settle in a beautiful wooden bungalow directly on the beach and enjoy the sunrises and sunsets with traditional boats in the background. You can swim safely, snorkel and even scuba dive to discover multicoloured fish and wrecks of old boats, hike, ride a scooter, visit floating palaces, see rice fields on the beaches. Nearby, do not miss the beautiful floating palace of Ujung, by the sea. The contrast of the blue of the water, the green of the rice fields and the vegetation, the white of the palace makes it a postcard landscape. From Denpasar airport, it is a 4 to 5 hour drive. 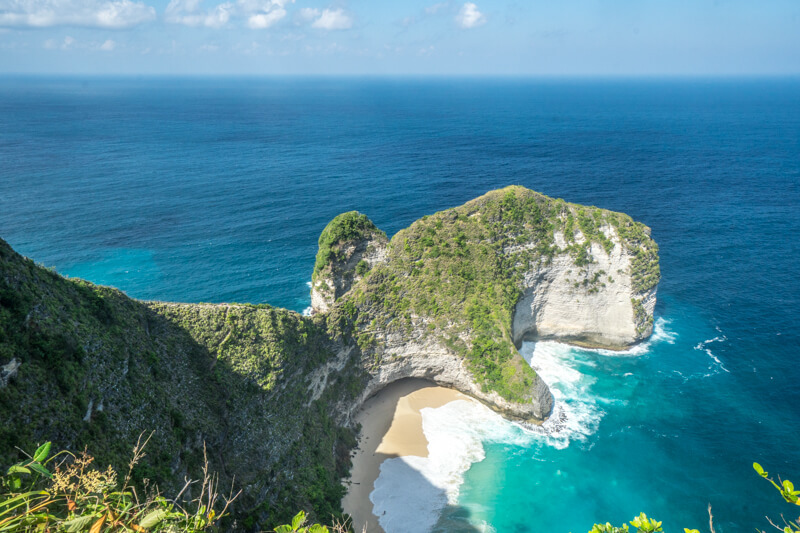 Kelingking beach on Nusa Penida Island is undoubtedly one of the best beaches to include on your Bali itinerary. The beach has become so popular that many travellers take day trips by ferry to Nusa Penida with the main purpose being to capture a picture perfect shot of this beautiful place. What makes this beach so special is the many incredible viewpoints from which to admire it from above. Found in a small cove, the beach has beautiful white sand and backs onto towering cliffs – making it a truly stunning sight! Most visitors prefer to simply enjoy the views of this beautiful place, but it is also possible to get to the beach via a steep pathway. The walk down takes around 45 minutes, but if you’re up to the challenge it’s well worth it to enjoy this gorgeous beach free from the crowds of tourists found at the top. Unfortunately the current at the beach is quite strong, so it’s best just to enjoy the beach itself without going for a swim! Whether you decide to walk down or not, Kelingking beach is still definitely worth visiting as it’s one of the most beautiful places in Bali! Gili Air is one of the three Gili Islands located between Bali and Lombok.They can be reached by boat from various harbors at the Balinese east coast, such as Amed and Padangbai. 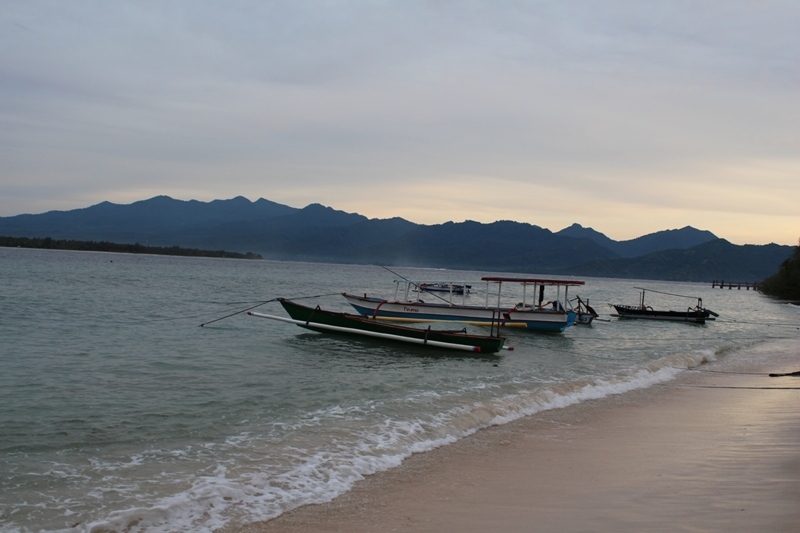 Most boats will make stops at the other Gili’s (Gili Trawangan and Gili Meno) as well. The cruising time depends on whether you take the fast boat or regular ferry, but it will usually be between 2-8 hours. The sea may be rough so those with a weak stomach should consider taking a motion sickness pill beforehand. Gili Air is a small island perfectly suitable for those who are looking for a bit of quiet combined with amazing snorkelling. In the waters surrounding Gili Air there are a lot of turtles making it perfect for a day in the water. The sea is bright blue in some spots and there are plenty of nice hangout spots to view the sunset from. The quiet part of Gili Air is on the northwest coast where there are fewer people than at the south, which is where the boat arrives. They also have the nicest beaches here and depending on the tide, you can take endless walks or just hang out and go for a swim every now and then. From the time you arrive in the Gili islands, you’ll feel yourself start to relax. On Gili Meno, the quietest of the three inhabited islands, the loudest thing you’ll hear is the jingling of bells from the harnesses of the horse-drawn carts (known as cidomos) which are the only transport around the island. Beachfront bars and restaurants provide the perfect place to while away the hours with a book and a drink (or two), but for those who are incapable of sitting still, the island also has spectacular snorkelling and dive sites, with a wide variety of sealife. If you’re particularly lucky (or visit the sanctuary) you might even get the chance to share the underwater scenery with some of the local turtles. 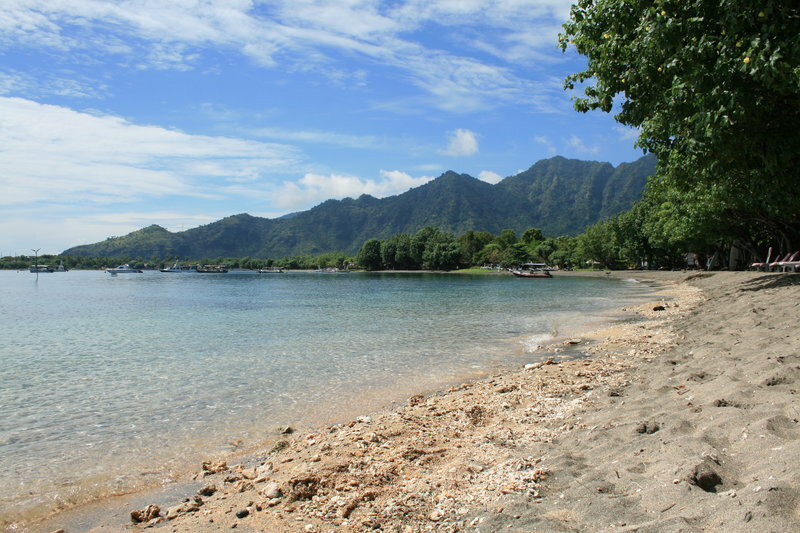 Gili Meno is accessible from Bali via the fast ferry from Padang Bai (travel time from 1 hour 40 minutes). It is also in close proximity to Lombok, and local ferries can help you visit neighbouring Gili Trawangan (for nightlife) and Gili Air. 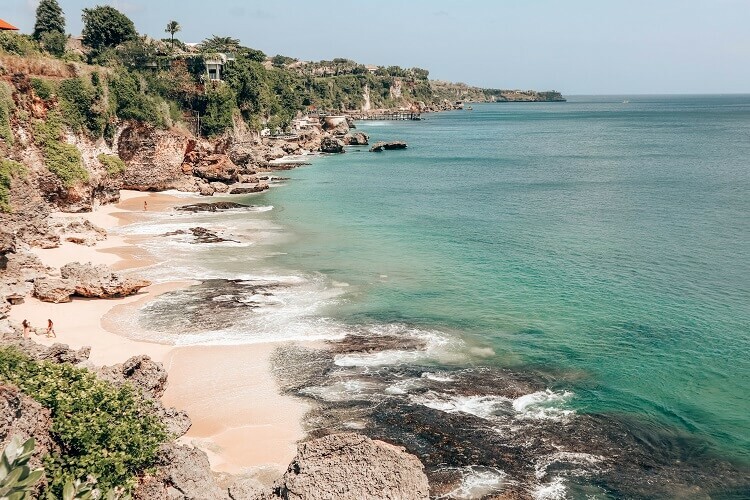 Thank you to everyone that contributed to this post on some of the nicest beaches in Bali and we can’t wait to explore them all! If you would like to also contribute to this post with a beach that isn’t listed, send me an email so we can chat about adding it in. You can find out more about the different places to stay in Bali in our post and we would love to hear from you over on Facebook or Instagram about the beaches you love to visit in Bali. Next time I go to Bali I am definitely going to make an effort to see some of these stunning beaches! I’ve been twice and only seen one so far!! Thanks for including me in this. A lot of people say you don’t go to Bali for the beaches but this proves how wrong they are ! There are so many, and so much diversity. We will be back again in 4 weeks time and can’t wait. Thanks so much for including us in this amazing post :) Bali has so much to offer, we can’t wait to get back there! 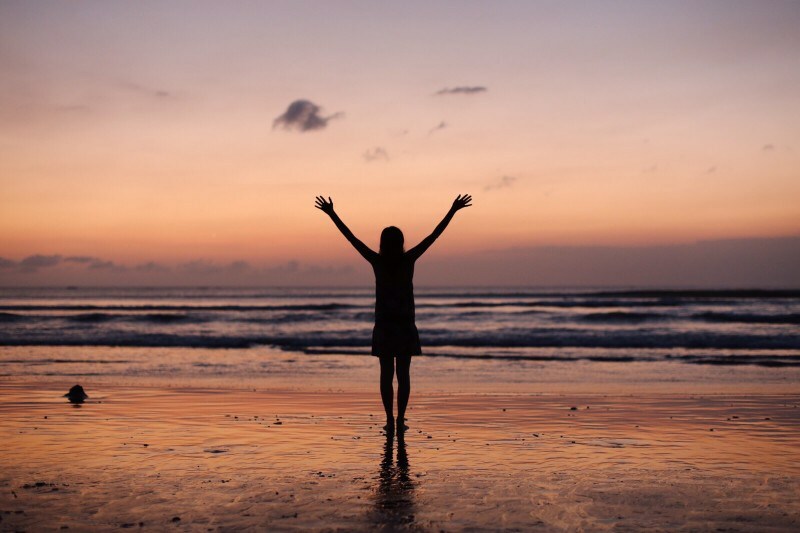 Thanks for sharing your favourite beach and we can’t wait to be back in Bali in April! !